We were selected as Architects for Phase 2 of the regeneration of Park Hill in Sheffield by Urban Splash in November 2015. 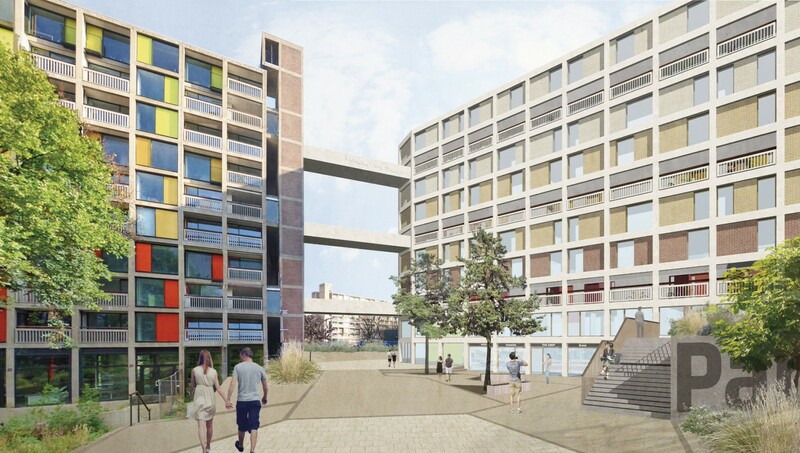 This followed a challenging and unique design competition, where we were loaned a flat: to inform our understanding of the complexities of Park Hill and to transform and use to present our proposals. 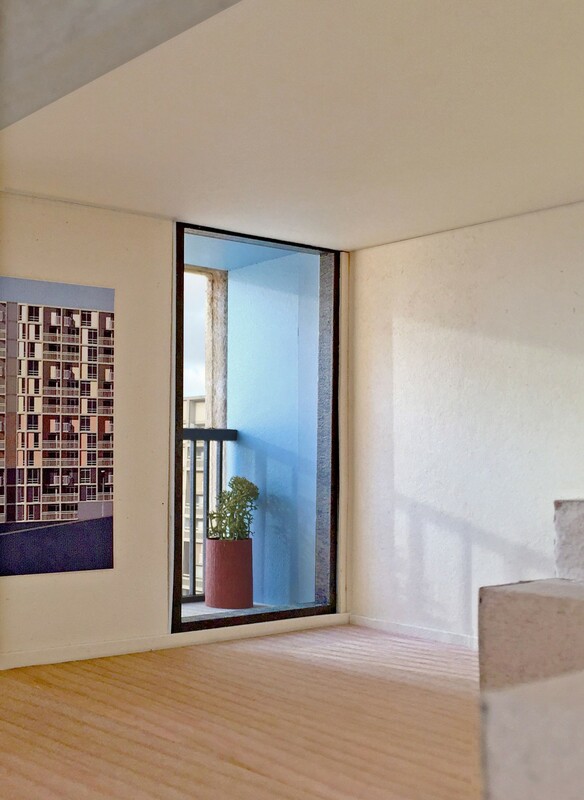 We took a ‘light touch’ approach, retaining the parts of Park Hill that work – the concrete frame, brickwork, and party walls. 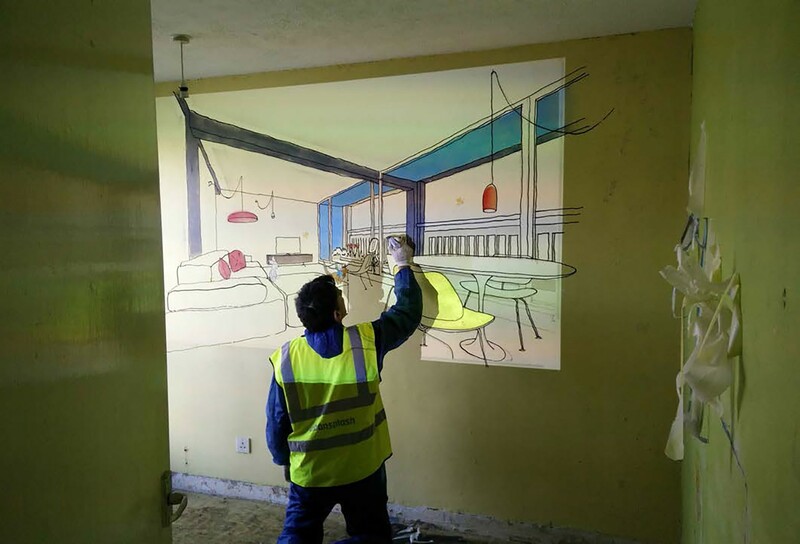 We found that by reconfiguring the flat layouts we can create fantastic modern flats whilst working with the very specific constraints of the existing building. 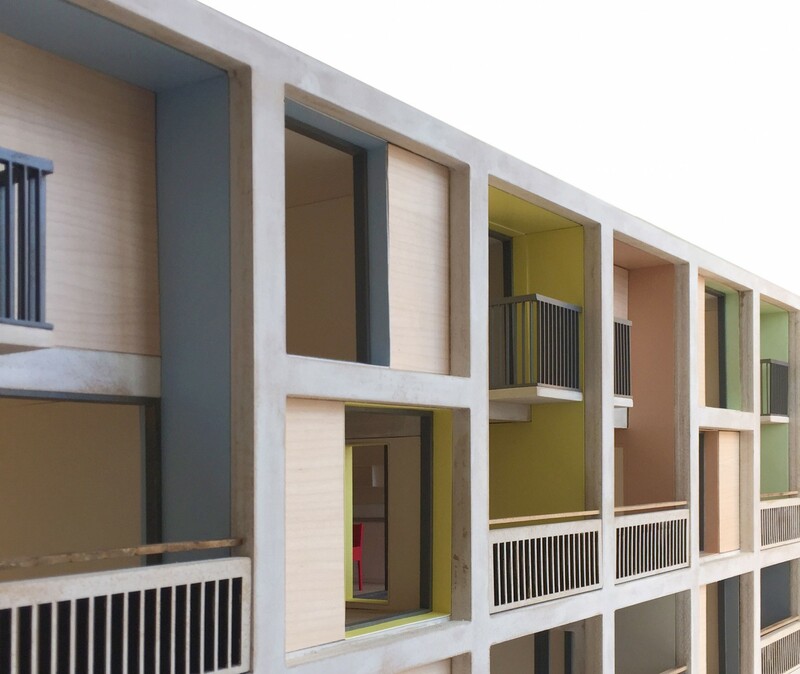 Introducing colour to the external balcony reveals allows new residents to recognise their own flat within the whole and enhances the sculptural qualities of the existing façade. 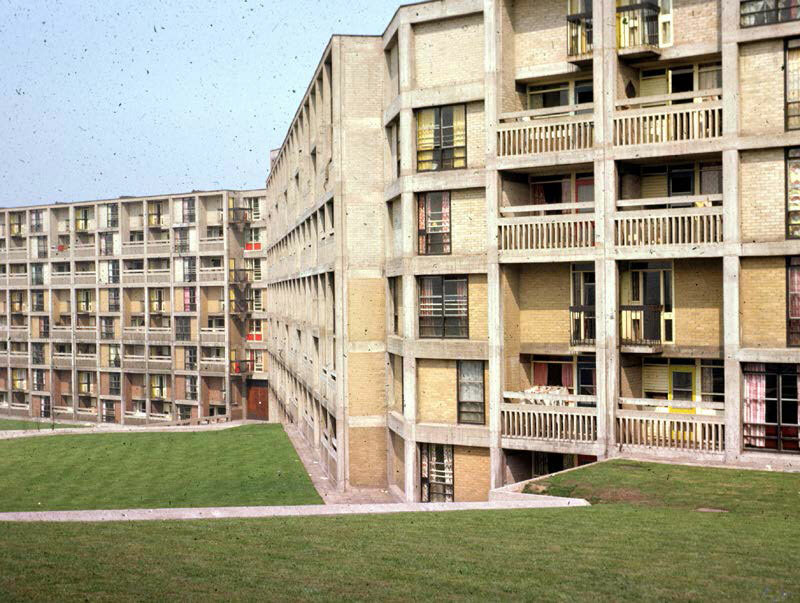 The Park Hill estate was built by Sheffield City Council between 1957 and 1961 and was Britain’s first completed scheme of post-war slum clearance. It is the most ambitious development of its type and contained 1000 flats and a range of community facilities including 31 shops and 4 pubs. 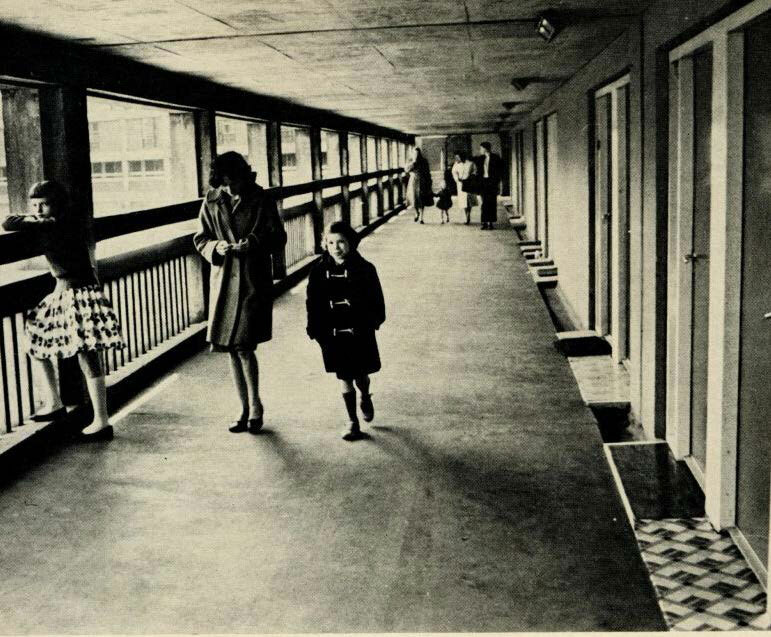 Park Hill is perhaps most famous for its ‘streets in the sky’, the covered external access decks every third floor, allowing access to maisonettes at deck level and flats below deck. 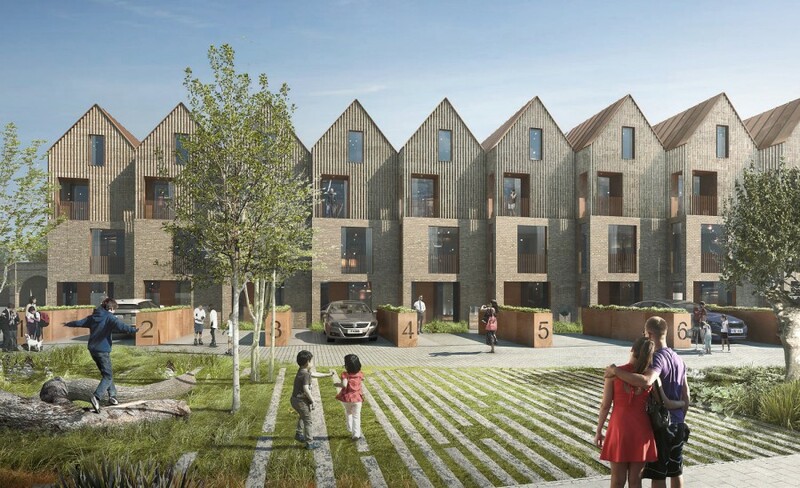 These were intended to replicate the close community of a terraced street and were wide enough for a milk float. 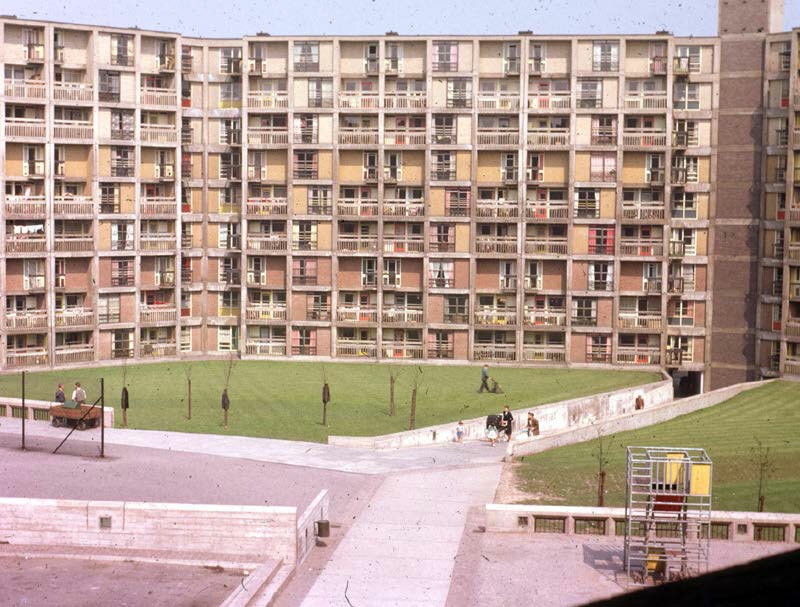 In recognition of its architectural and social importance Park Hill was Grade II* listed by English Heritage in 1998, becoming the largest listed building in Europe. 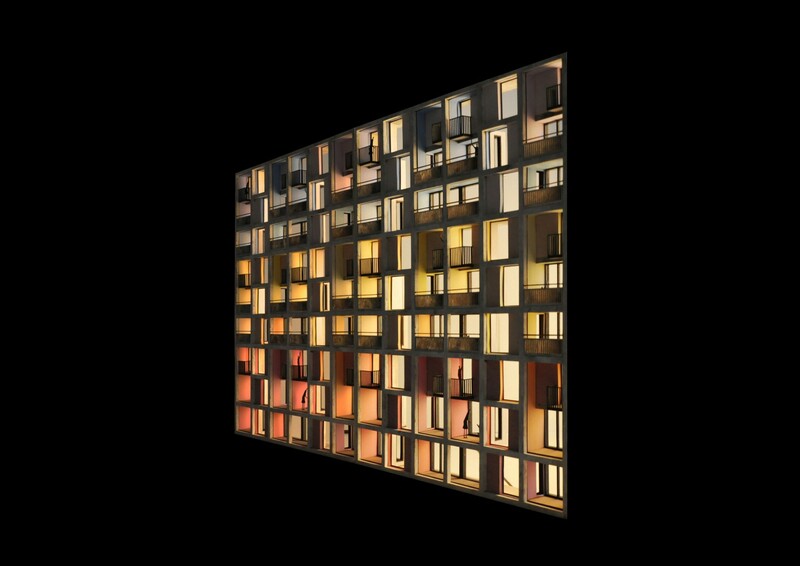 Phase 2 is the continuation of Urban Splash’s redevelopment of the estate which began in 2007, following decades of decline. It will provide around 200 new homes and over 2,500m2 of mixed use commercial space, including offices, retail and cafes. 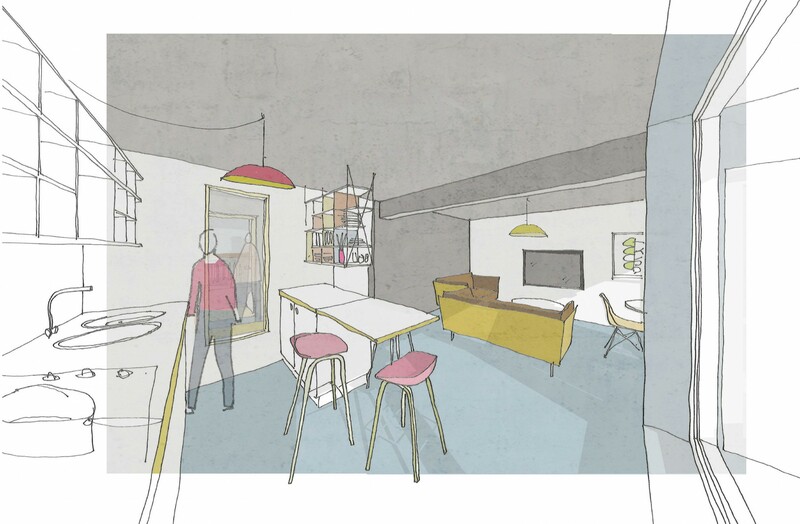 A new double height lobby will be created within the base of the existing building, providing access to the flats and a newly landscaped residents garden within the existing courtyard. 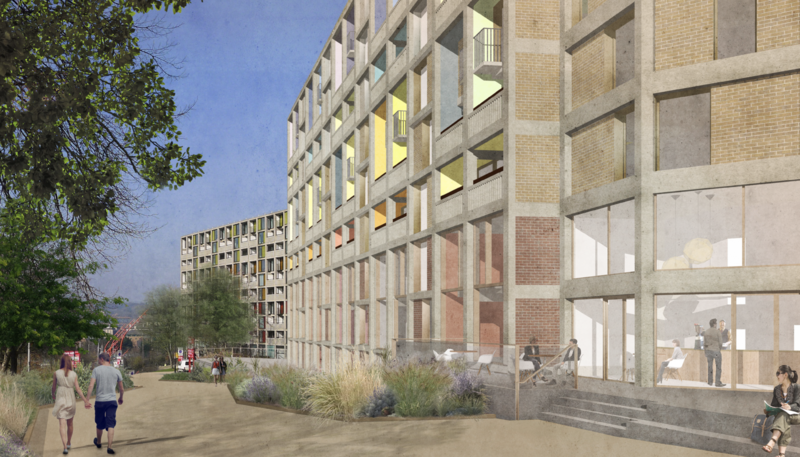 Phase 2 also forms a key part of exciting plans for the wider regeneration of the site – a ‘Mid-Century Modern quarter for Sheffield’ – which include a new public arts building and student accommodation. As a rule, we wanted to work with the existing building and retain as much as possible. 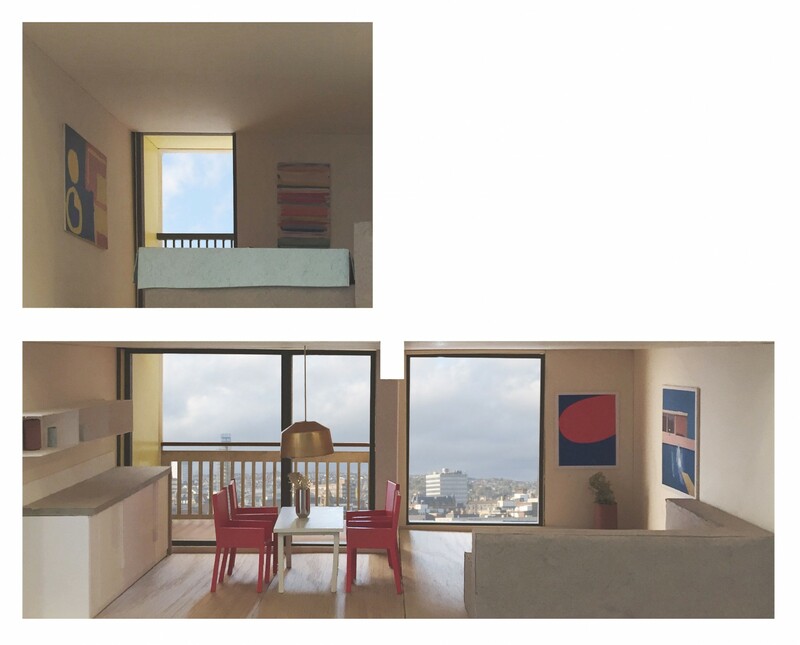 The challenge has been achieving this whilst working within the constraints of a very specific design (which is not as repetitive as it appears), and the size and layout of the existing flats, which do not meet modern standards and ways of living. 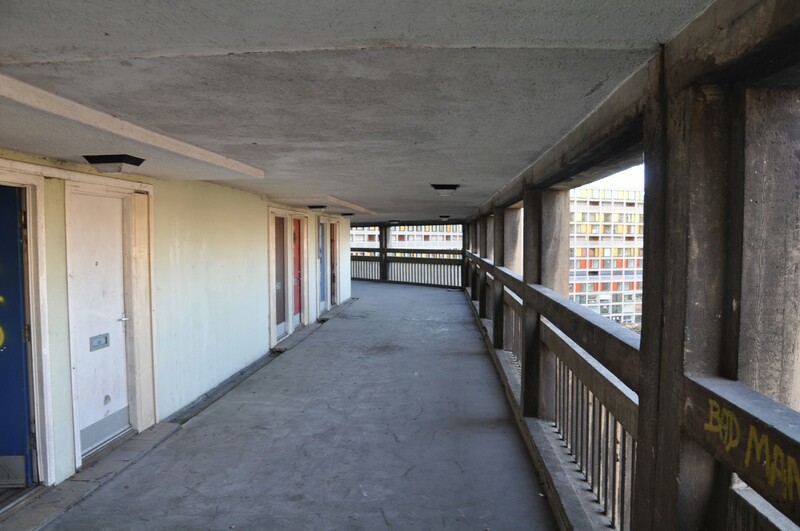 We found that eliminating ‘problem’ bedsit flats allowed us to reconfigure the remaining existing flats and unlocked a new knock-through flat type, with fantastic double width balconies. 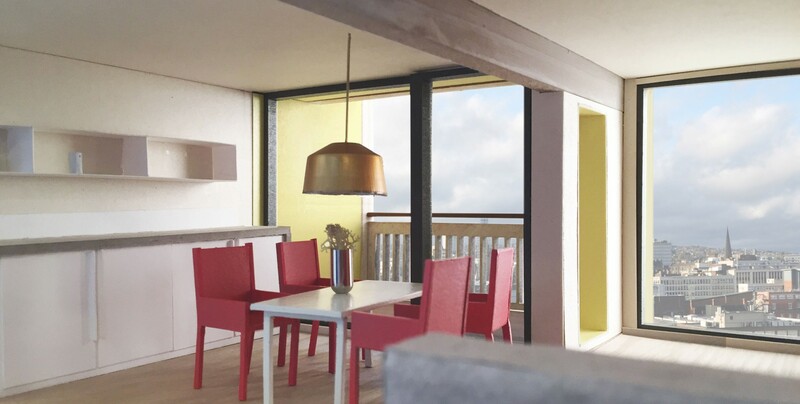 As a result, all the flats now have generous open plan living spaces, orientated to take advantage of the best views. This approach allows the retention of the external brick walls and window openings and the majority of party walls, which is very cost efficient and minimises construction waste. 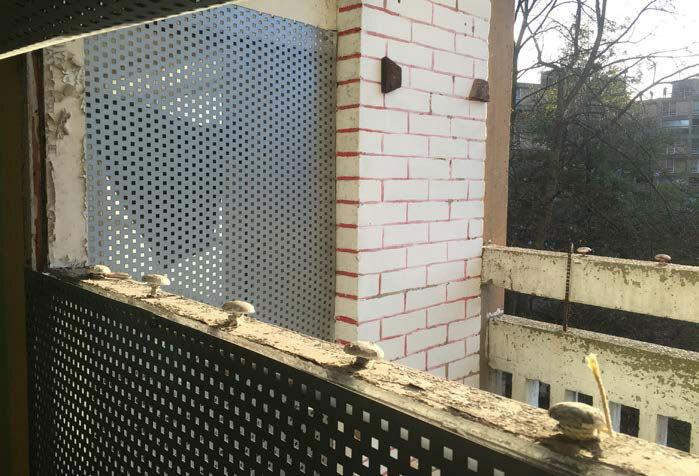 From the beginning our response has been that the external brick infill panels are in very good condition and when cleaned will look fantastic with the repaired concrete frame. 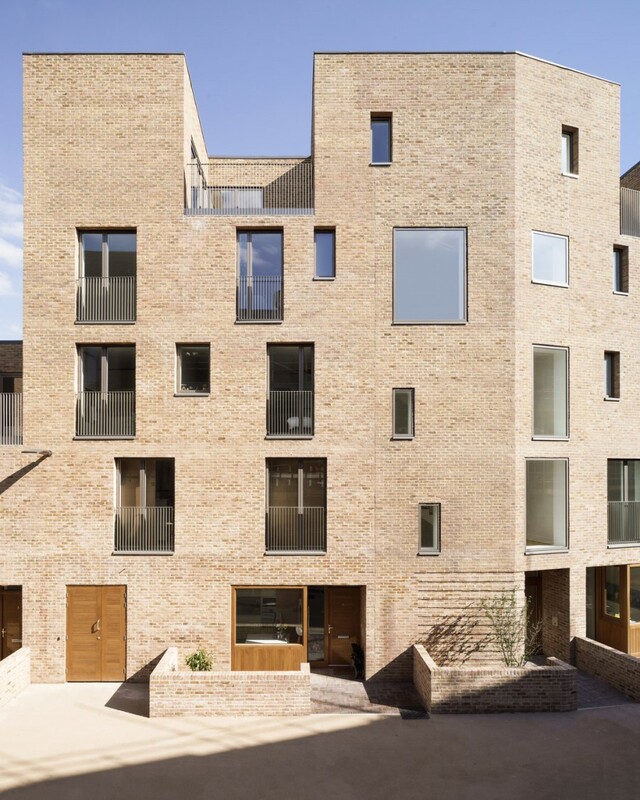 The existing full height window openings are generously sized, allowing large, modern windows without altering the brickwork and pattern of the façade. The colour of the brickwork – a progression of terracotta, light red and cream – represents each of the three streets. 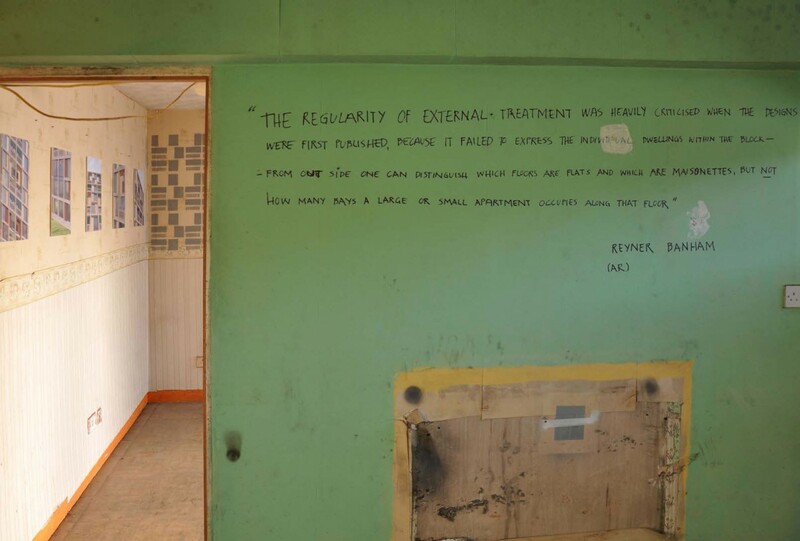 One of the criticisms of the scheme when it was first built was that while the streets were emphasised the displaced ‘houses’ weren’t recognizable. Terraced houses are often customised by owners. 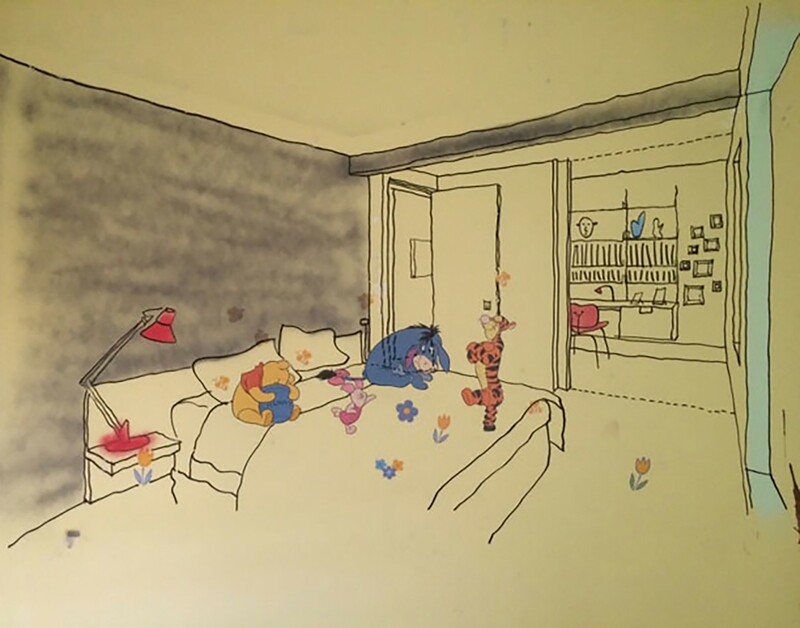 We wanted to legitimise this desire for individuality, to customise your home to make it different, special or just identifiable. Our response was inspired by the traces of former residents, the graffiti and customised flats, where residents had painted their reveals of their balconies different colours. 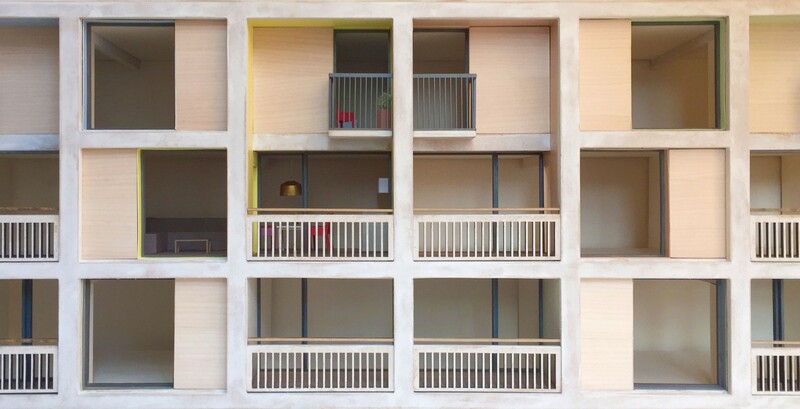 The flanks of the balconies are coloured: to improve light levels into the flats, allow new residents to recognise their own flat within the whole, and enhance the sculptural qualities of the existing façade. 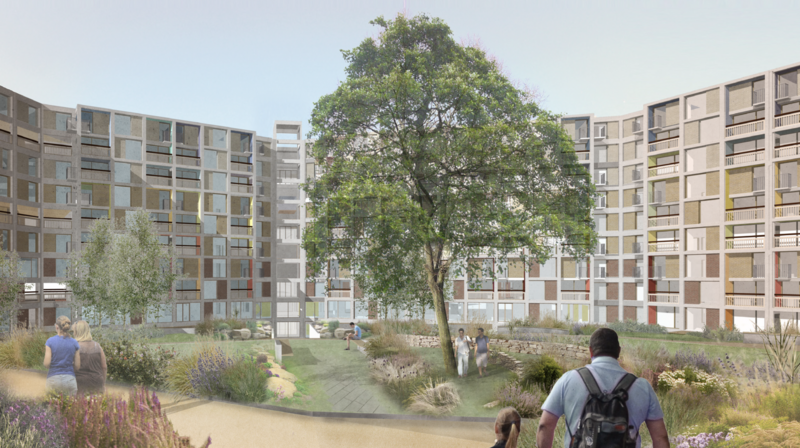 From the front, it will be a fresher, revitalised Park Hill. 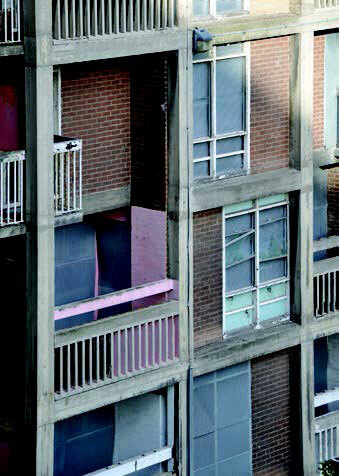 However, as you move around the facades the coloured reveals and soffits will bring a new, subtle quality to Park Hill. Each street will have a base colour, complementary to the adjacent brickwork, with a commentary range of hues identifying individual flats. Colours have been chosen from an investigation into the original design, and the architecture and art of the period. Shades of red and yellow mediate phase 2 with the bolder colours of phase 1; the introduction of blues at the top of the building softening the building against the sky. The selection of colours is ongoing and will be tested on the existing building. 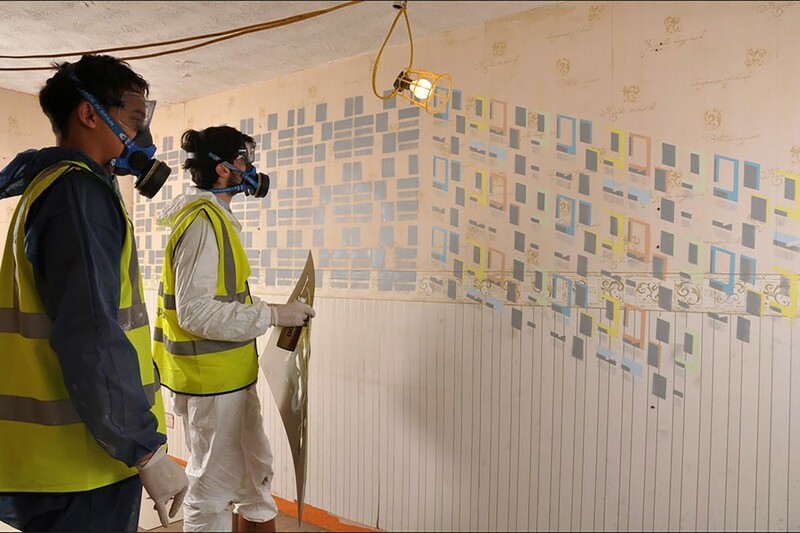 Rendering the reveals provides the opportunity to add insulation externally which, combined with a new layer of insulation inside the existing walls, will dramatically improve thermal performance and remove problematic cold bridges. New windows will be pushed into the wall to meet this thermal line – requiring a new element, metal window reveals, which provide an additional accent of colour and depth to the façade. 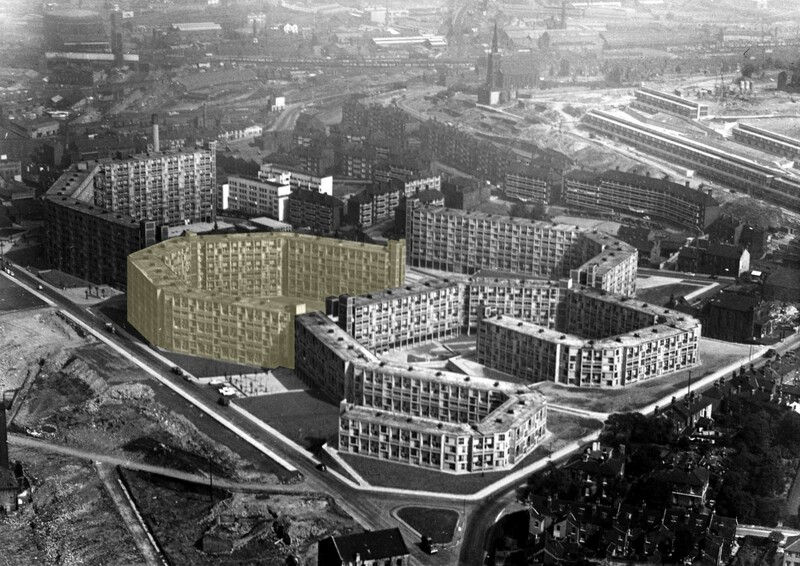 The existing streets are perhaps the most celebrated aspect of Park Hill and arguably the least successful. 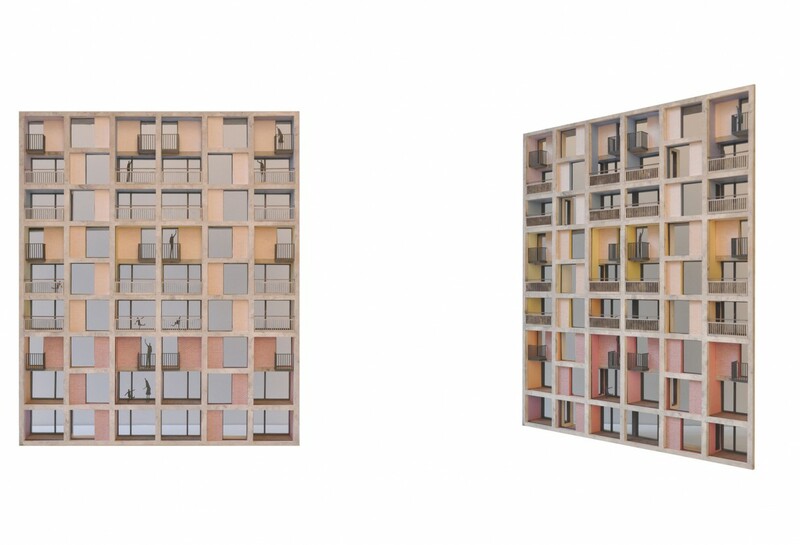 Their length, low height and repetition can feel institutional; they receive little direct sunlight and have no visual connection to the flats. We are currently investigating how we can make a successful contemporary ‘street in the sky’, whilst retaining and thermally upgrading the existing construction. 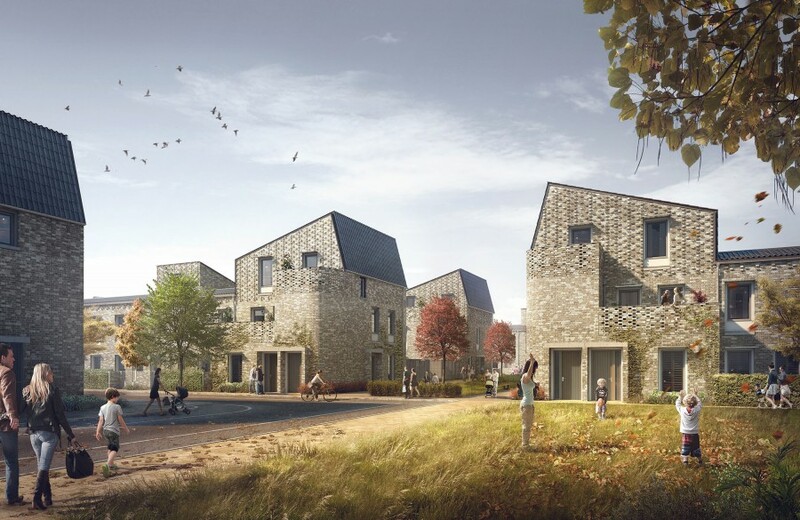 This could perhaps include places for children to play, to allow residents to sit and talk to a neighbour; for neatly storing bikes and buggies. 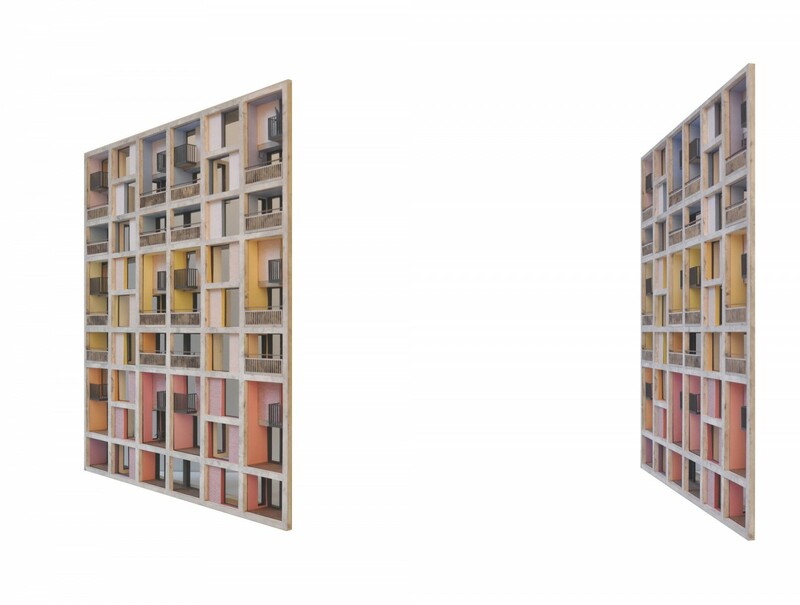 The colours used to identify the flats externally will be brought through to front doors and to animate the street. A new, soft floor surface could offer acoustic improvements and the opportunity to define a threshold or ‘doormat’ for each flat. The introduction of glazing in front doors and hallways can provide a view from kitchens out to the threshold outside, as in a traditional terrace street. 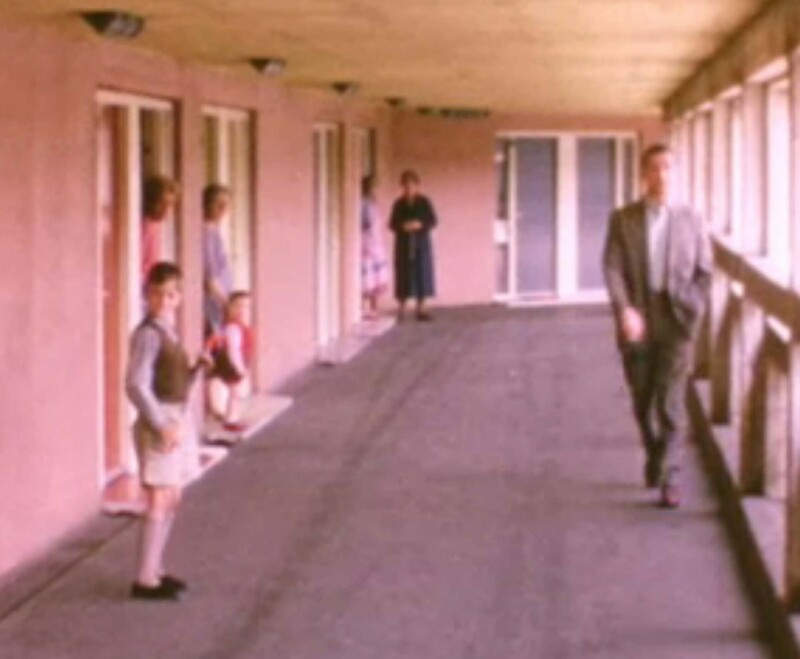 In this film, made by Urban Splash, Jonathan Falkingham sets out why Mikhail Riches won the competition for the latest phase of housing at Park Hill.